According to statistics of numerous client services provided by DU Network during this season, we have developed a few packages of services which are requested most frequently. These combinations of services ensure the best combination of comfort and cost for those who travel to Ukraine individually. Cost of the service package: $49.50 per day of your trip. â–º Meeting you on the day of arrival to give you all tickets and items which were purchased locally for you beforehand. All services, tickets, rents and reservations according to your trip itinerary, will be purchased and prepared by our workers beforehand. On the day of your arrival to Ukraine, our team worker will meet you in the airport (or train station) to hand you all the tickets, reservation confirmations, and receipts of purchases which will have been made before your trip. â–º Providing you a cell phone to keep connected with our service team. The person who will meet you on the first day, will also give you a cell phone which you can use durinig the whole time of your trip to stay connected with our service team. â–º The distant assistant service will become available from the moment of your arrival to Ukraine. Our worker will stay in touch with you 24/7 by phone during the whole time of the trip. This person will be checking all reservations, negotiating with service providers, taking care for changes in your itinerary and keeping all the arrangements on your way. This way, every moment of your trip, you will feel protected and safe. This service has proven to be very efficient for those who are traveling about Ukraine by a rented car. As you will not know exact times of departure or arrivals to each new destination on your way, you will need a distant assistant to connect you with your apartment owners, hotel receptionists, or other services providers. This service is also appreciated by those who prefer to travel individually, do things by themselves, and experience all the specifics of local culture. Just a bit of distant assistance is very helpful at times, though you will feel very independent in your decisions and there will be no need to hire interpreters in each location on your way. Please, note that you can also request service of a distant interpreter, at additional request. Cost of the service package: $99.50 per day of your trip, plus coverage of your interpreter's travel related expenses. â–º All services, tickets, rent and reservations will be made by our workers beforehand, according to your trip itinerary. On the day of your arrival to Ukraine, our team worker will meet you in the airport (or a station) to hand you all the tickets and receipts of purchases, which will have been made before your arrival. â–º The distant assistant service will become available from the moment of your arrival to Ukraine. Our service team will stay in touch with your personal interpreter 24/7 by phone, during the whole time of the trip. While the distant service team will be checking all reservations, negotiating with service providers, taking care for changes in your itinerary and keeping all the arrangements on your way, your interpreter will take care of all daily arrangements, contacts and meetings in each city you visit. â–º Your personal interpreter-assistant will meet you from your plane (train, etc.) on the day of your arrival to become your full time assistant and to travel with you everywhere during the whole time of the trip. 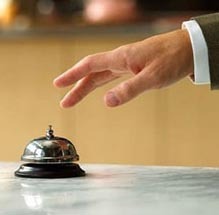 This person will also be working tightly with our service team, to take care for any changes in your itinerary. This service package has been especially popular among visitors who travel to Ukraine on business, or with the purpose of meeting people, conducting negotiations, etc. Your interpreter-guide will become your full time connection person with local services, individuals and companies, who will take care of all the little everyday situations, arrangements, meetings, plan changes etc.